Norngarden 1 is the first of four (Norngarden Xmas, Norngarden 2, Norngarden 4) metarooms designed to fit together. It was created by Helen and Tomtschek. 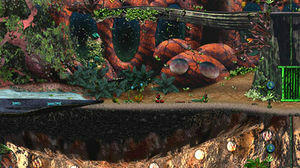 "The Norngarden is a biosphere module that can be connected with the Docking Station and the Shee ship. Its not totally clear if its origin was Shee or not. It is not known if all these plants are artificially created or collected." 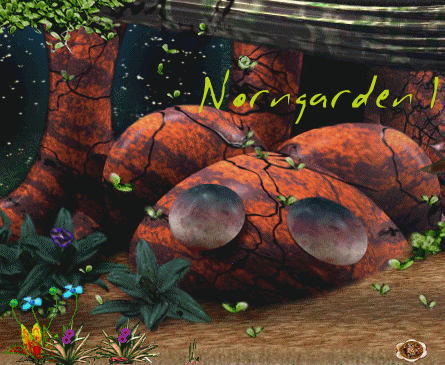 -- the Norngarden homepage. WARNING: Some plants seem to be poisonous. This page was last modified on 7 March 2018, at 02:42.